Pyridine-aminoalcohol ligands were synthesized and evaluated as catalyst generated in situ from RuCl2(PPh3)3 for transfer hydrogenation of aromatic ketones. It was found that the ligand I was more active than II. 1. Hashiguchi, S, Fujii, A, Takehara, J, Ikariya, T, Noyori, R, Asymmetric Transfer Hydrogenation of Aromatic Ketones Catalyzed by Chiral Ruthenium(II) Complexes, Journal of American Chemical Society, 1995, 117, 7562-7563. 2. Ikariya, T, Blacker, A.J, Asymmetric Transfer Hydrogenation of Ketones with Bifunctional Transition Metal-Based Molecular Catalysts, Accounts of Chemical Research., 2007, 40, 1300-1308. 3. 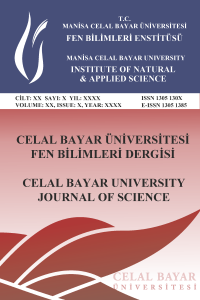 Denizaltı, S, Mercan, D, Şen, B, Gökçe, A.G, Çetinkaya, B, Asymmetric Transfer Hydrogenation Reaction in Water: Comparison of Chiral Proline Amide/Amine Ruthenium(II) Complexes, Journal of Organometallic Chemistry, 2015, 779, 62-66. 4. Denizaltı, S, Şen, B, Gökçe, A.G, Çetinkaya, B, Ruthenium(II) Complexes Derived from 2-phenylthiazoline-4-carboxylic acid: Structure and Catalytic Activity for Transfer Hydrogenation Reaction, Applied Organometallic Chemistry, 2016, 30, 373-377. 5. Foubelo, F, Najera, C, Yus, M, Catalytic Asymmetric Transfer Hydrogenation of Ketones: Recent Advances, Tetrahedron: Asymmetry, 2015, 26, 769-790. 6. Wang, D, Astruc, D, The Golden Age of Transfer Hydrogenation, Chemical. Reviews., 2015, 115, 6621-6686. 7. Wu, Y, Yun, H, Wu, Y, Ding, K, Zhou, Y, Synthesis of N-α-pyridylmethyl Amino Alcohols and Application in Catalytic Asymmetric Addition of Diethylzinc to Aromatic Aldehydes, Tetrahedron: Asymmetry, 2000, 11, 3543-3552. 8. Yun, H, Wu, Y, Wu, Y, Ding, K, Zhou, Y, Chiral Ligands for Asymmetric Synthesis: Enantioselective Addition of Diethylzinc to Aromatic Aldehydes Catalyzed by Chiral N-α-pyridylmethyl Amino Alcohols, Tetrahedron Letters, 2000, 41, 10263-10266. 9. Grach, G, Dinut, A, Marque, S, Marrot, J, Gil, R, Prim, D, Enantioselective Friedel-Crafts Alkylation of Indole Derivatives Catalyzed by New Yb(OTf)3-pyridylalkylamine Complexes as Chiral Lewis Acids, Organic and Biomolecular Chemistry, 2011, 9, 497-503. 10. Xu, F, Lei, C, Yan, L, Tu, J, Li, G, Copper-Chiral Camphor β-Amino Alcohol Complex Catalyzed Asymmetric Henry Reaction, Chirality, 2015, 27, 761-765. 11. Deshpande, S.H, Kelkar, A.A, Gonnade, R.G, Shingote, S.K, Chaudhari, R.V, Catalytic Asymmetric Transfer Hydrogenation of Ketones Using [Ru(p-cymene)Cl2]2 with Chiral Amino Alcohol Ligands, Catalysis Letters, 2010, 138, 231-238. 12. Pastó, M, Riera, A, Pericàs, M.A, Fine-Tuning of Modular Amino Alcohol Ligands for the Enantioselective Transfer Hydrogenation of Ketones, European Journal of Organic Chemistry, 2002, 2337-2341. 13. Han, M.-L, Hub, X.-P, Huang, J.-D, Chen, L.-G, Zheng, Z, New Chiral Amino Alcohol Ligands Derived from 1-phenylethylamine for Efficient Ru-Catalyzed Asymmetric Transfer Hydrogenation, Tetrahedron: Asymmetry, 2011, 22, 222-225. 14. Alza, E, Bastero, A, Jansata, S, Pericàs, M.A, Aqueous Asymmetric Transfer Hydrogenation Using Modular Hydrophobic Aminoalcohols, Tetrahedron: Asymmetry, 2008, 19, 374-378. 15. Wang, X, Xu, L, Xiong, F, Wu, Y, Chen, F, A New Cost-Effective Ru-Chloramphenicol Base Derivative Catalyst for the Asymmetric Transfer Hydrogenation/Dynamic Kinetic Resolution of NBoc α-amino-β-ketoesters and Its Application to the Synthesis of the Chiral Core of Vancomycin, RSC Advances, 2016, 6, 37701-37709. 16. Brunner, H, Henning, F, Weber, M, Enantioselective Catalysis. Part 143: Astonishingly High Enantioselectivity in the Transfer Hydrogenation of Acetophenone with 2-propanol using Ru Complexes of the Schiff Base Derived from (S)-2-amino-2_-hydroxy-1,1_-binaphthyl (NOBIN) and 2-pyridinecarbaldehyde, Tetrahedron: Asymmetry, 2002, 13, 37-42. 17. Brunner, H, Niemetz, M, Enantioselective Catalysis CXLI . Tridentate Ligands with 1-(pyridin-2-yl)ethylamine as Chiral Building Block in the Enantioselective Transfer Hydrogenation of Acetophenone, Monatshefte für Chemie, 2002, 133, 115-126. 18. Brunner, H, Henning, F, Enantioselective Catalysis. Part 156 . Ruthenium Procatalysts and 2-Pyridinealdehyde=(S)-NOBIN-Derived Cocatalysts in the Transfer Hydrogenation of Acetophenone with 2-Propanol, Monatshefte für Chemie, 2004, 135, 885-897. 19. Ray, A, Boyle, S.M, In Silico Screening Method for Identifying Ligands for Odor Receptors and Olfactory Neurons for Use as Repellents in Traps or Other Media, The Patent Cooperation Treaty (PCT) International Application, 2011, WO 2011130726 A2 20111020. 20. Strong, E.T.J., Cardile, S.A, Brazeau, A.L, Jennings, M.C, McDonald, R, Jones, N.D, Chiral, Hemilabile Palladium(II) Complexes of Tridentate Oxazolidines, Including C2-Symmetric “Pincers”, Inorganic Chemistry, 2008, 47, 10575-10586.